Projected on a 10' wide screen. 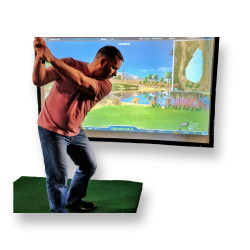 Use real golf clubs to play real courses or hit the practice range. Best used in a dimly lit room as screen will look washed out in daylight conditions.